[text_block style=”style_1.png” align=”left”]Dear Home Studio Owner, You’re reading this because you have a sneaky suspicion. You know that your mixes could be better. 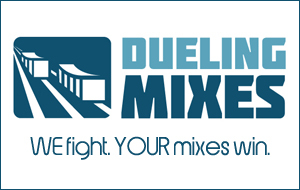 You also suspect that the answer to better mixes isn’t simply to “buy better plugins!” Sure, it sounds nice. Sure it helps plugin manufacturers sell their products. But it doesn’t address your core problem. Here’s what it looks like to buy a shiny new plugin: You hear so many pro engineers talk about how they use this plugin on all their mixes. So you think to yourself, “If they use it, and they make good mixes, then if I use it, I will make good mixes!” That’s like me saying I could hit the ball like Tiger Woods “if only” I had the same clubs he uses. There’s a disconnect. A problem with the logic. What Goes Into a Good Mix? [text_block style="style_1.png" align="left"]Dear Home Studio Owner, You’re reading this because you have a sneaky suspicion. You know that your mixes could be better. You also suspect that the answer to better mixes isn’t simply to “buy better plugins!” Sure, it sounds nice. Sure it helps plugin manufacturers sell their products. But it doesn’t address your core problem. Here’s what it looks like to buy a shiny new plugin: You hear so many pro engineers talk about how they use this plugin on all their mixes. So you think to yourself, “If they use it, and they make good mixes, then if I use it, I will make good mixes!” That’s like me saying I could hit the ball like Tiger Woods “if only” I had the same clubs he uses. There’s a disconnect. A problem with the logic. Are you tired of creating muddy mixes that sound halfway decent in your studio but horrible in your car? Are you tired of mixes that are so harsh that you avoid listening to them on earbuds because it hurts too much? Are you tired of being unable to clearly hear each instrument in a mix? Are you sick of wasting time recording great tracks, only to have them be lost in a jumbled mess of sound? Are you tired of the constant guesswork and frustration that currently describes your mix sessions, of using EQ at random, hoping it will fix the problems, rather than using it with purpose and CONFIDENCE, knowing you can get the sounds you want…at will? Do you wish you could play your latest mixes for your friends and family without having to give a bunch of disclaimers, without having that pit in your stomach and the rush of embarrassment that comes from letting others hear your work? Do you truly want to believe that you can create good mixes using the tools you own RIGHT NOW, you just need someone to show you how? Aliquam pellentesque ipsum nisl, in feugiat erat sagittis sit amet.